It is the interview we’ve all been waiting for. Or not. The Justin Bieber Vanity Fair interview and cover for February 2011 has been revealed and those supporting the mop-topped Baby singer will be pleased. We’ve got photos and video from the shoot here! Justin Bieber has been hyping up his Vanity Fair interview (cover below) via his Twitter page. It what seems to be his cockiest interview yet, the Biebs dishes on not only the female fans that go crazy over him, but also his view on the lack of males at his shows. We’ve got highlights from the issue below. One of the most interesting quotes I found that came out of Bieber’s mouth was this, “Not trying to be arrogant, but if I walked down the street and a girl saw me, she might take a look back because maybe I’m good-looking, right?” You think some of that “swagger” rubbed off on him from his mentor Usher? Here’s what Bieber has to say about the guys that fail to show up at his shows. He explains, “For younger guys, it’s like [they think] they’re not cool if they come to my concert. That’ll [change], I think; it’ll happen, maybe when I’m 18. But meanwhile all their girlfriends are coming to watch me.” Yeah, so take that boys! 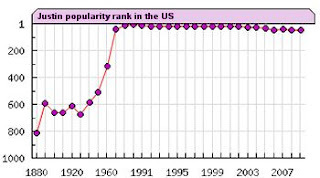 The Observer newspaper in the UK published a report indicating that Justin Bieber is more influential in the social networking sphere than Barack Obama or The Dalai Lama. According to Jan Hoffman of The New York Times, part of Bieber's appeal stems from his YouTube channel. 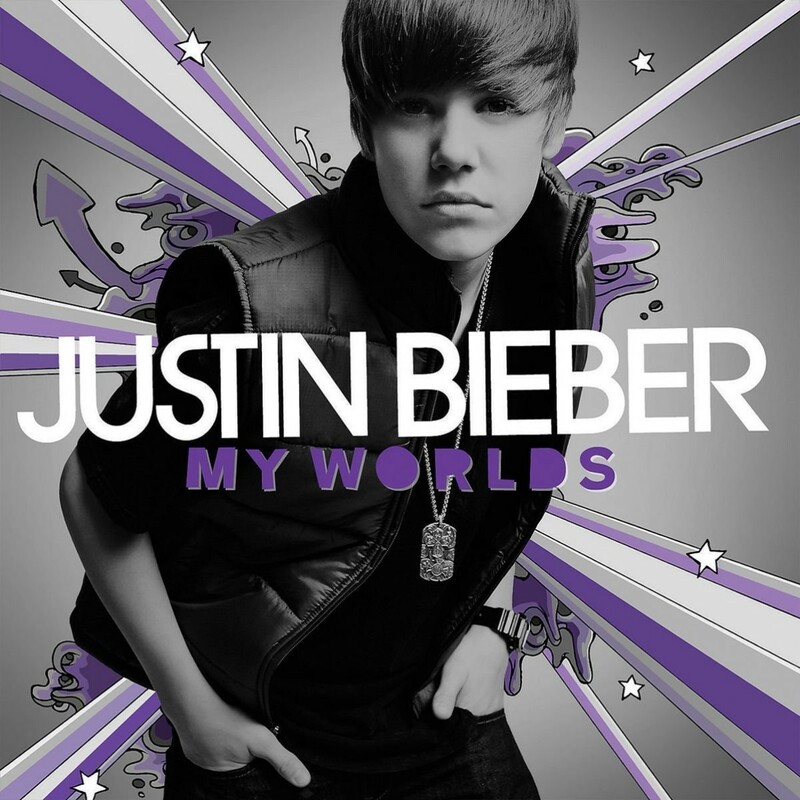 Long before he released his EP, My World, in mid-November, the YouTube videos attracted millions of views. Braun recognized the appeal. Prior to flying him to Atlanta, Braun wanted to "build him up more on YouTube first" and had Bieber record more home videos for the channel. "I said: 'Justin, sing like there’s no one in the room. But let's not use expensive cameras.' We'll give it to kids, let them do the work, so that they feel like it's theirs", recalled Braun. Bieber continues to upload videos to the same channel and has opened a Twitter account, from which he interacts with fans regularly; his account was reported in November 2010 to have over 6 million followers. Since then he has been consistently gaining followers at an average of 24,000 per day. The accounts also serve marketing purposes; for example, Bieber's music video for "One Time" only began selling quickly after it was uploaded to YouTube. Usher comments that while he and Bieber were both signed at the same age, "I had the chance to ramp up my success, where this has happened to Bieber abruptly." As a result, Usher, Braun, Bieber's bodyguard Kenny, and other adults surrounding Bieber constantly coach him on handling fame and his public image. After signing Bieber, Usher appointed one of his former assistants, Ryan Good, to be Bieber's road manager and stylist. 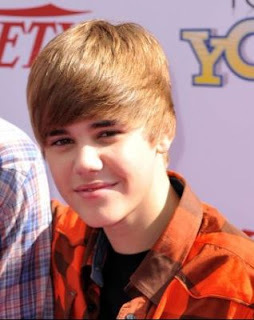 Good, once nicknamed Bieber's "swagger coach", created a "streetwise look" for the singer which consisted of baseball caps, hoodies, dog chains and flashy sneakers. Amy Kaufman of The Los Angeles Times comments, "Though a product of a middle-class suburban upbringing in Stratford, Ontario, Bieber's manner of dress and speech ("Wassup man, how you doin'?" or "It's like, you know, whateva' ") suggest he's mimicking his favorite rappers." 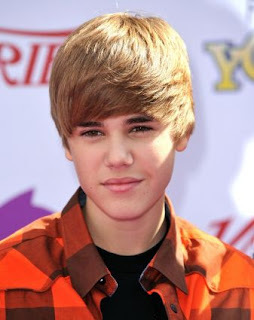 Bieber is often featured in teen magazines such as Tiger Beat, and has been labeled a "teen hearthrob". Bieber has released a collection of nail varnishes to raise awareness for charity. Wax statues of Bieber are on display at Madame Tussauds wax museums in New York, Amsterdam and London. 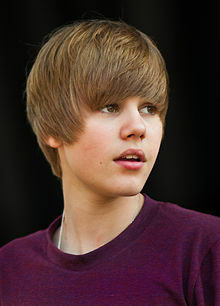 The longer hairstyle formerly worn by Bieber and its popularity with teenage girls proved to be cultural phenomenon, becoming one of the most copied hairstyles among teenage boys. Bieber changed his hairstyle in February 2011 and a lock of Justin Bieber's hair has been sold for $40,668 (£25,024) in a charity sale on, with 98 bids in total. The hair toured America with its own bodyguard, and fans could have their picture taken with it in return for a charitable donation. Bieber donated the winnings to a charity which rescues and rehabilitates animals. Justin Drew Bieber (pronounced /ˈbiːbɚ/ bee-bər, was born on March 1, 1994), in London, Ontario, and was raised in Stratford, Ontario. Bieber's mother, Patricia Lynn "Pattie" Mallette, was 18 years old when she became pregnant with her son. Mallette, who worked a series of low-paying office jobs, raised Bieber as a single mother in low-income housing. 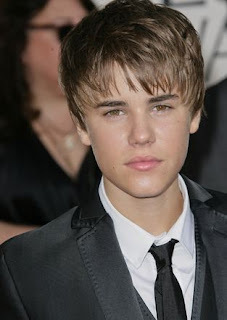 Bieber has maintained contact with his father, Jeremy Jack Bieber, who married another woman and had two children. Bieber's paternal great-grandfather was a German immigrant to Canada. His mother's ancestry is French Canadian. During his childhood, Bieber was interested in hockey, soccer, and chess; he often kept his musical aspirations to himself. 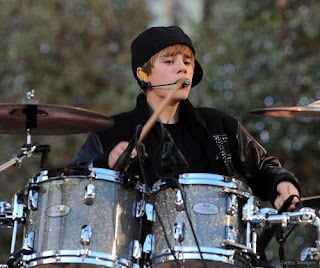 As he grew up, Bieber taught himself to play the piano, drums, guitar, and trumpet. In early 2007, when he was twelve, Bieber sang Ne-Yo's "So Sick" for a local singing competition in Stratford and placed second. Mallette posted a video of the performance on YouTube for their family and friends to see. 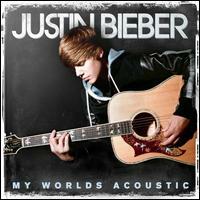 She continued to upload videos of Bieber singing covers of various R&B songs, and Bieber's popularity on the site grew. Justin Bieber is a Canadian pop/R&B singer-songwriter and actor. Bieber was discovered in 2008 by Scooter Braun, who happened to come across Bieber's videos on YouTube and later became his manager. Braun arranged for him to meet with Usher in Atlanta, Georgia, and Bieber was soon signed to Raymond Braun Media Group (RBMG), a joint venture between Braun and Usher, and then to a recording contract with Island Records offered by L.A. Reid. 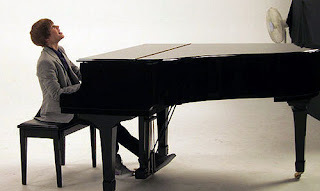 His debut single, "One Time", released worldwide in 2009, peaked in the top ten in Canada and charted in the top thirty in several international markets. 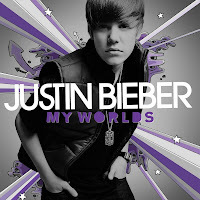 His debut release, My World, followed on November 17, 2009, and was eventually certified platinum in the United States. He became the first artist to have seven songs from a debut album chart on the Billboard Hot 100. 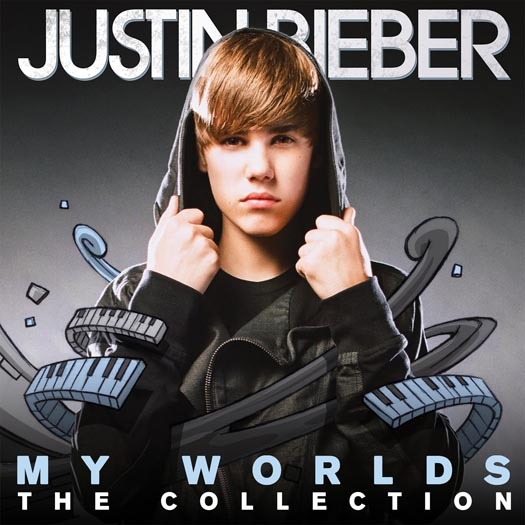 Bieber's first full studio release, My World 2.0, was released on March 23, 2010 and has since received similar success; it debuted at number one and within the top ten of several countries, and was certified platinum in the United States. It was preceded by the worldwide top-ten single, "Baby", in January 2010. The music video of "Baby" is currently ranked as the most viewed and most discussed YouTube video, and was the most disliked until being overtaken by Rebecca Black's song Friday. 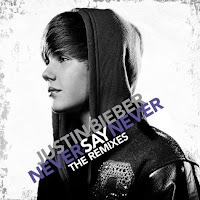 Bieber followed-up the release of his debut album with his first headlining tour, the My World Tour, the remix albums My Worlds Acoustic and Never Say Never – The Remixes, and the 3D biopic-concert film Justin Bieber: Never Say Never – which had an opening weekend gross that nearly matched the record for the biggest opening weekend for a concert-film. 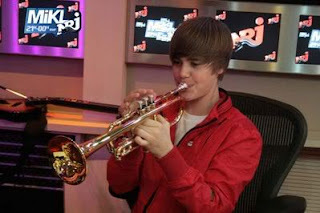 Justin Bieber plays the drums, the guitar, the piano, and the trumpet - as well as singing obviously. He is mostly self-taught. He started his career through YouTube when he put up some videos of him singing - and was then discovered by his current manager who saw his talent straight away. Grab an awesome Justin Bieber banner to spice up your facebook wall. Pick a banner and save it. Go to this page on fbanners.com to upload your banner. Start by clicking "Upload Image". Then select the banner on your pc. No need to "Crop Image" cause your banner is already in the correct size. No need to "Resize Image" your banner already fits the required shape for the banner. Add text if you want to. Next choose your font color, style and size. Then position your text. Click upload to add it to your facebook profile. Join the world's hottest pop star on his rollercoaster ride to superstardom…plus FREE wall poster, just for you! His debut album has already gone platinum. He's sung for the President of the United States. His screaming fans have stormed TV studios and shut down shopping malls. Justin Bieber is a global superstar and now, for the first time ever, he's going to tell all in his very own book. Justin's story is the stuff that every kid dreams of. Growing up an only child in Ontario, Canada, Justin had a natural talent for music; he was forever singing around the house and taught himself to play drums, guitar, piano and trumpet. He entered a local singing competition and despite not having had any vocal coaching, Justin came second aged only 12 years old. But it was when he posted homemade pop videos on YouTube that Justin's dreams really came true: the videos quickly became a word-of-mouth sensation, garnering an astonishing 10 million hits. Months later, Justin was spotted by top music manager Scooter Braun who later joined forces with superstar Usher to sign 13-year-old Justin to Island Def Jam. And the rest, as they say, is history. In his very first book, complete with free wall poster, Justin will tell the story of his amazing journey from small-town schoolboy to global superstar. Stunningly designed and jam packed full of exclusive unseen photos of Justin on and off stage, plus private captured moments, the awesome story of Justin's phenomenal rise to superstardom is a must-have for any true fan. 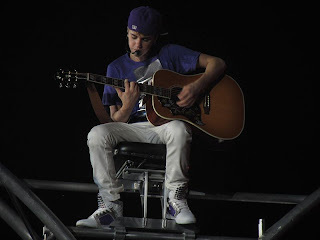 Born in Stratford, Ontario, Justin Bieber is a multi-talented singer and musician. 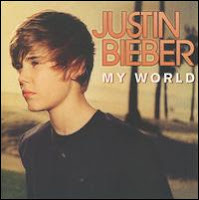 Spotted at just twelve years old, Justin's first album, My World, was certified platinum within three months of its release and went on to be the first debut album ever to have seven songs on the Billboard Top 100. 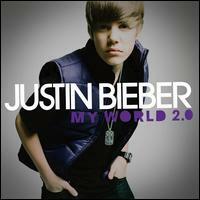 His latest album, My World 2.0, debuted at #1 on the charts, and has gone on to sell over five million copies worldwide. 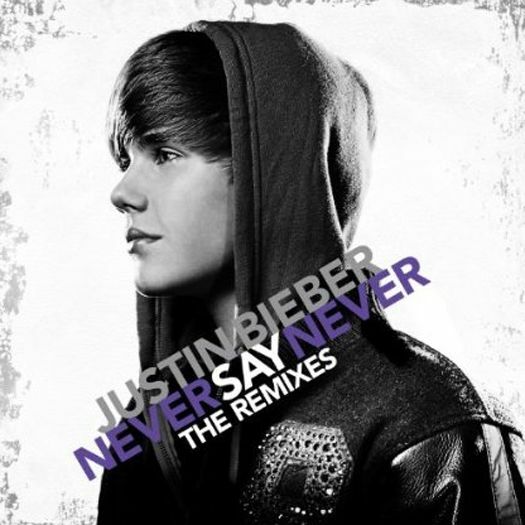 This #1 debut made Justin the youngest male solo artist to top the chart since Stevie Wonder in 1963. 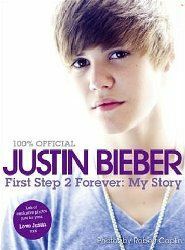 This is Justin’s first book. 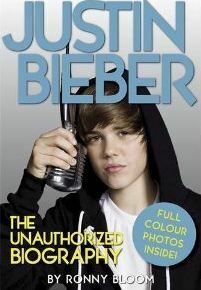 This is the must-have guide to Justin Bieber, the hot new tween pop-sensation that's set to take the planet by storm! With free poster! 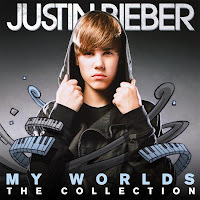 Funny, cute and massively talented, Justin Bieber is going to be the tween sensation of 2010 and this is the unofficial guide to all things Bieber! First spotted on YouTube at the age of 12 Justin Bieber is now 16 and, despite a bidding war with Justin Timberlake, is signed to Usher's record label; Island Def Jam Records. He's toured with Taylor Swift, had massive chart success in Canada and America and is set to take the UK by storm. Packed with hot facts on girls, style, tips on becoming a star, stats and activities this is the ONLY book for all Justin Bieber fans! One listen to Justin Bieber’s soulful singing voice and you’ll be hooked on this gorgeous teen heartthrob! This 16-year-old Youtube phenomenon started out posting his performances for his family and friends. Then after a bidding war between Justin Timberlake and Usher, Justin signed with Usher’s record label. He’s toured with Taylor Swift and is singing his way into tween hearts all over the UK! Read about super-talented Justin in this unauthorized biography – from filming videos to where he’d go on a first date. Complete with web links, a quiz and 4 pages of full colour photos – get your hands on THE Justin Bieber book. 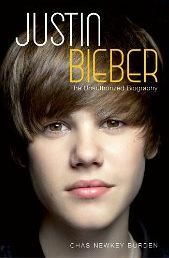 The first ever full-length biography of the teen singing sensation of the moment. 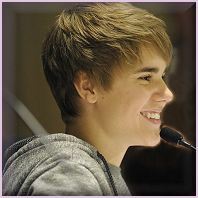 Fresh-faced, charismatic and talented, Justin Bieber is the teen star who has taken the music world by storm. At just sixteen years old, he has already achieved global recognition and number ones worldwide with his debut single and album. Born on 1 March 1994, Justin grew up in the small city of Stratford in Canada. His mum started posting videos on YouTube of her thirteen-year-old boy singing cover versions. Hits on the site started building almost immediately and it wasn't long before he had fans of all ages, all over the world. When, in 2008, music-industry professional Scooter Braun became his manager, this young star was firmly on the path to stardom. In this book Chas Newkey-Burden explores this teenager's sensational story, making it the must-have book for anyone with Bieber Fever! 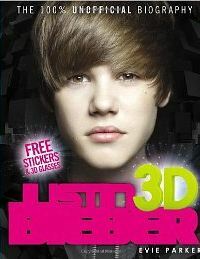 Packed with facts,stats and pics this is the must-have 3D guide to the awesome Justin Bieber! Includes 3D glasses, 3D photo sections and 3D stickers! Want to get up close and personal with Bieber? Well, now's your chance. This is the ultimate 100% Unofficial guide to all things JB. 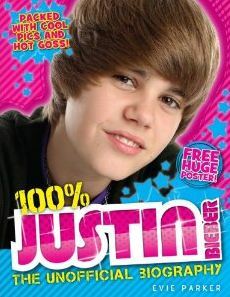 Packed with awesome facts, stats and pics this is the must-have guide for all budding Biebettes! And just when you thought this book couldn't get better, it just did. With 8 stunning pages of 3D pics of the pop star himself, fans will never feel closer to their idol. 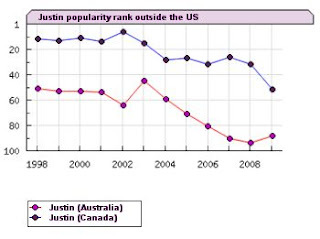 Justin Bieber’s odds were a million to one, until millions of fans found him online. Now his world is yours with Never Say Never, the “riveting and inspiring”* story of his journey from average teen to the youngest performer to sell out the most famous stage in New York City. An essential DVD for all fans of the boy who shot to fame almost overnight, and is now recognised as one of the biggest pop sensations of all time, Justin Bieber's phenomenal career is perfectly captured in this documentary film. With over 6 million fans following his every move and a 5 times platinum selling album under his belt, Justin Bieber's rise is almost unstoppable. From posting amateur videos on YouTube, to the international megastar and heart-throb, this is your chance to follow the unbelievable Bieber story in BIEBER FEVER. Featuring interviews from the likes of Snoop Dogg and 50 cent as well as with the man himself, the entire planet seems to have caught BIEBER FEVER! This insightful documentary takes a closer look at the meteoric rise to prominence of one of the America's most successful teen pop stars, Justin Bieber. This new profile takes the viewer on the path to success of what became the Justin Bieber phenomenon and includes his performances, backstage footage and interviews with Bieber, Usher, and several industry heavyweights. The DVD also includes an insight into Bieber's big screen debut on the hit TV drama CSI. Discovered on YouTube and immediately signed by Usher's label in the blink of an eye, Bieber was soon recording a platinum selling single with Ludacris. A whirlwind tour soon followed from performances on the VMAs to Christmas at the White House with the Obamas. Includes performances of Baby and One Love.